Detroit police have recovered a stolen U.S. Secret Service truck carrying supplies for Vice President Joe Biden’s Monday campaign event in that city, several news outlets reported. The U-Haul truck, which was stolen this weekend outside the Westin Book Cadillac hotel in downtown Detroit, was found on Monday in an apartment parking lot near Henry Ford Hospital in an area north of downtown, Detroit Police and Secret Service officials told the Detroit News. Secret Service spokesman Ed Donovan said that the truck held “Secret Service property” that was to be used as part of the vice president’s campaign event, but no weapons or “anything that could put the public at risk,” the newspaper reported. Donovan would not say whether any equipment had been stolen. However, a law-enforcement official briefed on the situation told the newspaper that some of the gear was missing when officials recovered the truck. 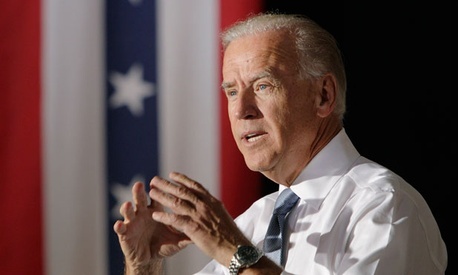 Biden was in Detroit on Monday to mark Labor Day by addressing a union rally organized by the Michigan AFL-CIO.